Committees and special project groups are a vital part of the organization. Special committees and groups are formed on an as needed basis at the society's annual meetings, while standing committees with ongoing mandates exist and operate in perpetuity. For more information about a given committee or project, please contact the chairperson or a member of the SIHR executive. 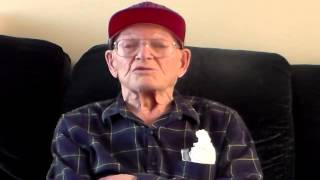 An Oral History Research Committee was established in May of 2014 to interview and record the memories of hockey personalities through interviews. Results will be made available to members and the public via the website, the bulletin or the society's YouTube channel. The Hockey Origins Research Group (HORG) was created to delve as deeply as possible in the origins of the game of hockey. 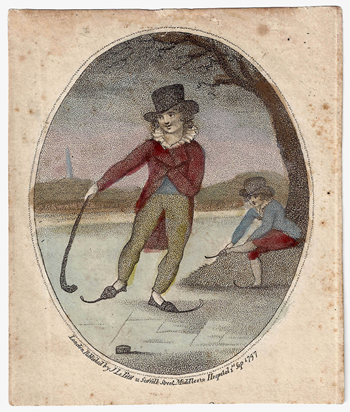 Their research is not limited by any era or geographic boundaries, and traces the roots of stick and ball type games on ground and ice dating back to ancient Egypt all the way up to organized hockey in the late 1800s. Aubrey Ferguson and Ross Hayton have formed a hockey publications database committee to serve as an online compendium not only of publications but also the libraries of members who wish to share their reading lists or libraries. 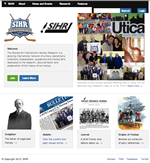 The website committee is responsible for all aspects of the SIHR website ranging from the look and feel to the content included. Please contact James for technical details and non-statistical content. Statistical questions can be directed to Ernie Fitzsimmons. Co-Chairperson: James Milks, Gatineau, Quebec.